The best seat in the house, is at YOUR house. 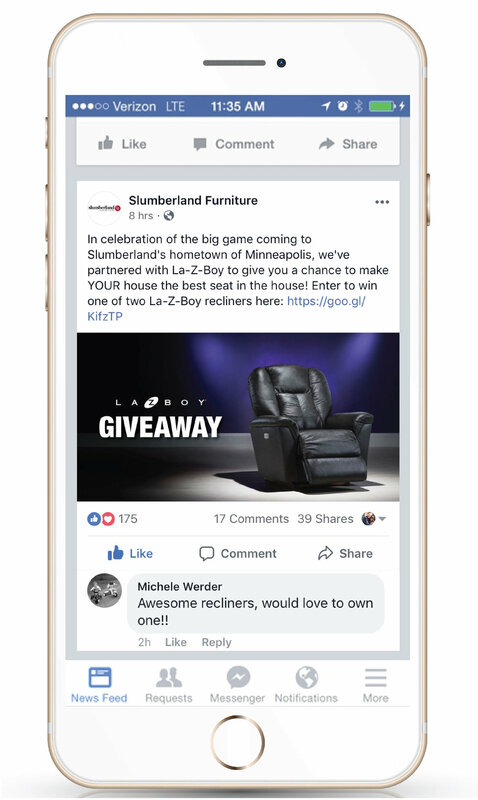 Minneapolis was lucky enough to host the Super Bowl in 2018 and Slumberland wanted to join in the fun, while using the opportunity to engage and grow it's audience. 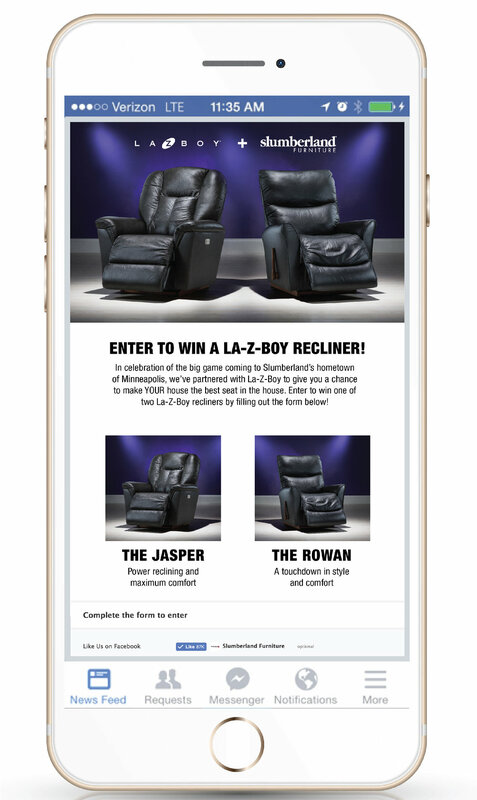 I proposed and presented a collaboration with La-Z-Boy and secured two different recliners that Slumberland would offer as a giveaway. Marketing was exclusively digital and the contest ran via Woobox on Facebook. The creative was shot at our in-house studio and features purple for a subtle nod to our home office's local team The Vikings. Following the announcement of a winner, an email was sent to all entrants offering them a exclusive discount on La-Z-Boy products. This was the most successful contest Slumberland has ever run. 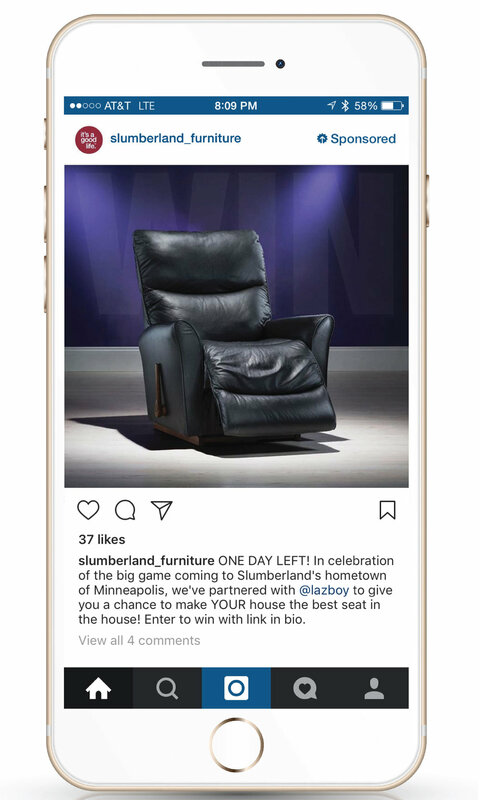 Engagement was off the charts and Slumberland came close to doubling it's Instagram following, which began at under 800 followers.